I'm a huge fan of Tim Burton's films so when I came across this I knew I had to pick it up. It's a collection of short poems along with doodles drawn by the author himself. It's such an awesome collection of poems/stories. If you love his films (my favourites are The Nightmare Before Christmas and Edward Scissorhands) then you'll love this. It's creepy and depressing but very funny and unique! I loved how each character was different and had their own unfortunate events occur and although the stories aren't much longer than a page or two, they're cute and disturbing and I just really enjoyed reading it. I don't have much to say other than that I wish the book had been longer because it was a quick and enjoyable read! 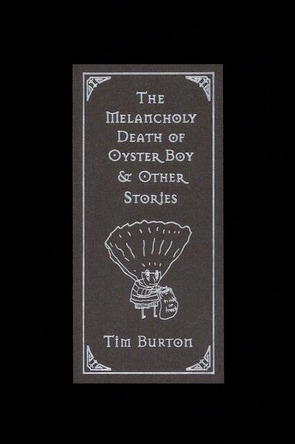 I would recommend this to anyone that likes creepy things, poetry and short stories or just simply enjoys Tim Burton's work.